Delicious tequila, sombreros, and copious amounts of Coronas. That’s right, Cinco de Mayo is on the way Boston! Considered one of the most anticipated days of the year to celebrate, this year it’s set to be that much better because PubCrawls.com is coming back to town, and yes, we will be producing yet another stellar event that features the best watering holes in town. 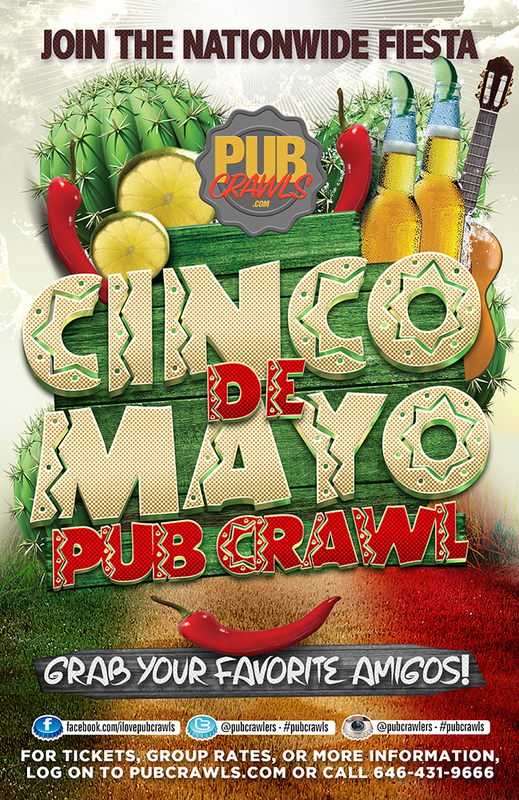 We’ve broken into the record books in the past, and now we’re looking to do it all over again with the Official Cinco de Mayo Pub Crawl! If you haven’t be a part of one of these fun and social events in the past, then get ready for a wild drinking ride that will give you a chance to see what the bar scene in Boston is all about!